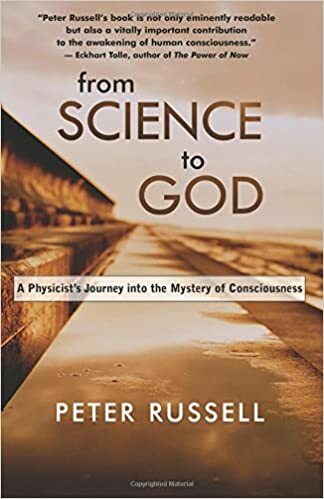 Peter Russell went from being a strict atheist and scientist to discovering a profound personal synthesis of the mystical and the scientific. That transition is the basis of this book. In From Science to God, he blends physics, psychology, and philosophy to reach a new worldview in which consciousness is a fundamental quality of creation. Russell shows how all the ingredients for this worldview are in place; it remains only to put the pieces together and explore the new picture of reality that emerges. Integrating a deep knowledge of science with his own experiences of meditation, Russell arrives at a universe similar to that described by many mystics — one in which the inner and outer worlds no longer conflict. The bridge between them, he shows, is light, and this book invites readers to cross that bridge to find new meaning in God and a deeper significance in spiritual practice. For years Western Science has relegated consciousness to an epiphenomenon created by the brain. There are, however, serious problems with this approach and an alternative worldview is emerging in which consciousness is an essential quality of the cosmos. With human beings, this universal consciousness has evolved to the stage of self-reflective consciousness — we are aware that we are aware — opening us to new realms of imagination and innovation. Yet, at the same time, our newfound powers are also threatening our survival as a species. We are being asked to step beyond a limited ego-centric consciousness and awaken to our true nature, to discover for ourselves the inner peace and freedom spoken of by mystics the world over. Peter Russell is an author, public speaker, and multimedia producer who is recognized as a leading thinker on consciousness and contemporary spirituality. He coined the term “global brain” with his 1980’s bestseller of the same name in which he predicted the Internet and the impact it would have on humanity. He is the author of nine books, including Waking Up in Time, and From Science to God.